Lee Gill Cohen, Esq. brings over 27 years of legal experience to Kanner & Pintaluga. He is a distinguished litigator who has been fighting for the rights of victims his entire legal career. For 22 years, Mr. Cohen served as a prosecutor at the Office of the State Attorney in Broward County and tried over 100 jury trials, spanning from theft to Vehicular Homicide to murder. He spent his last 16 years at the prosecutor’s office as the Chief Assistant of the County Court/DUI Division, supervising 48 attorneys and the support staff in four courthouses. In 2017, Mr. Cohen brought his extensive and diverse experience to Kanner & Pintaluga where he handles a broad range of personal injury matters as well as trains and mentors the younger attorneys at the firm. Additionally, Mr. Cohen continues his zealous representation of crime victims pursuing personal injury actions on their behalf. Over the course of his career, Mr. Cohen has been repeatedly recognized for his victim advocacy and legal accomplishments. He has drafted and testified before the Florida Legislature concerning various pieces of criminal justice legislation benefitting victims of crime.He has received numerous awards from Mothers Against Drunk Driving, Florida Prosecuting Attorney’s Association, and the Office of the State Attorney in Broward County. He was also the recipient of the 2008 National Highway Traffic Safety Administration Award for Public Service, the highest honor awarded by that federal agency to a civilian non-employee, and the 2003 Broward Crime Commission Prosecutor of the Year Award. Mr. Cohen was named by South Florida Legal Guide 2008, 2009 and 2010 Top Government Attorney, Criminal Division. 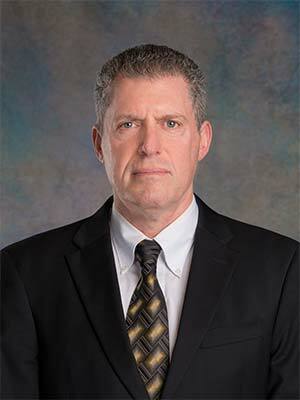 Mr. Cohen currently is a member of the Mothers Against Drunk Driving Advisory Board, the Broward Crime Commission Associate Advisory Board and the National Crime Victim Bar Association. Mr. Cohen received his Juris Doctorate from University of Miami School of Law in 1989. He has been a member of the Florida Bar since 1989, the United States Supreme Court Bar since 2004, the United States District Court for the Southern District of Florida since 2012, and has been authorized to practice for numerous specific cases in State and Federal Courts throughout the United States.